Please join author Brandy Purdy as she tours for the release of her novel, The Queen's Pleasure, from May 28th through June 26th with Historical Fiction Virtual Book Tours! When young Robert Dudley, an earl's son, meets squire's daughter Amy Robsart, it is love at first sight. They marry despite parental misgivings, but their passion quickly fades, and the ambitious Dudley returns to court. Swept up in the turmoil of Tudor politics, Dudley is imprisoned in the Tower. Also a prisoner is Dudley's childhood playmate, the princess Elizabeth. In the shadow of the axe, their passion ignites. When Elizabeth becomes queen, rumours rage that Dudley means to free himself of Amy in order to wed her. And when Amy is found dead in unlikely circumstances, suspicion falls on Dudley - and the Queen...Still hotly debated amongst scholars - was Amy's death an accident, suicide, or murder? - the fascinating subject matter makes for an enthralling read for fans of historical fiction. 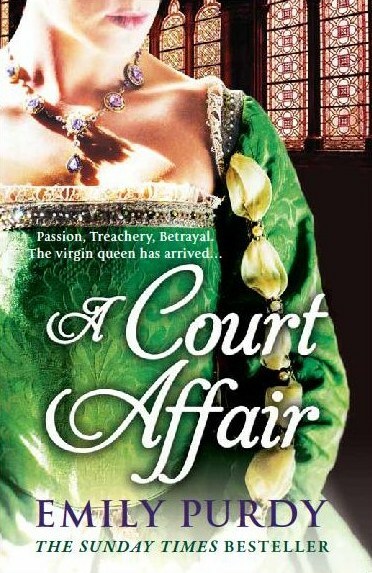 The Queen's Pleasure is also being released in the UK under A Court Affair by Emily Purdy. Brandy Purdy (Emily Purdy in the UK) is the author of the historical novels THE CONFESSION OF PIERS GAVESTON, THE BOLEYN WIFE (THE TUDOR WIFE), THE TUDOR THRONE (MARY & ELIZABETH), and THE QUEEN'S PLEASURE (A COURT AFFAIR). An ardent book lover since early childhood, she first became interested in history at the age of nine or ten years old when she read a book of ghost stories which contained a chapter about Anne Boleyn haunting the Tower of London. Visit her WEBSITE or you can also follow her and her cat Tabby via her BLOG at or on Facebook as Brandy Purdy - Emily Purdy.